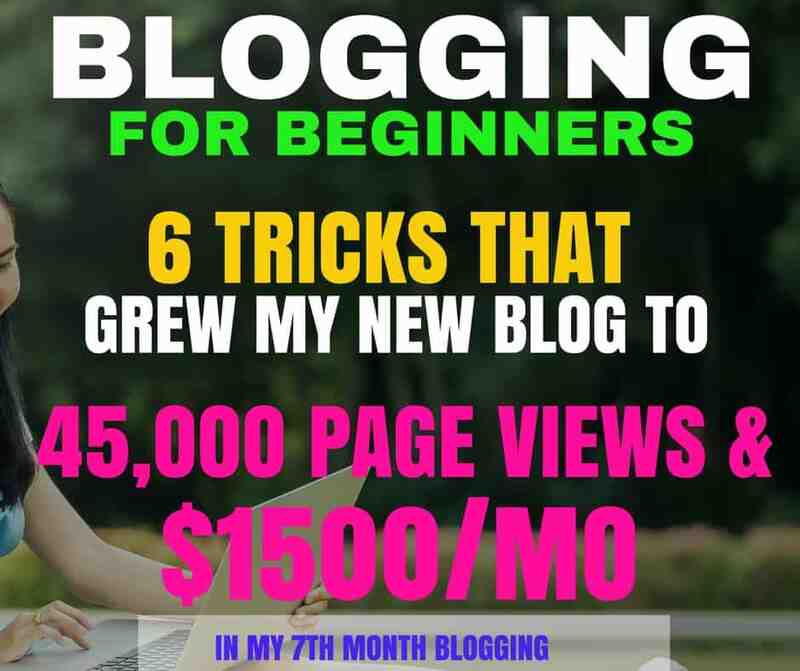 This blogging for beginners article is ablout my income report for my 7th month blogging. 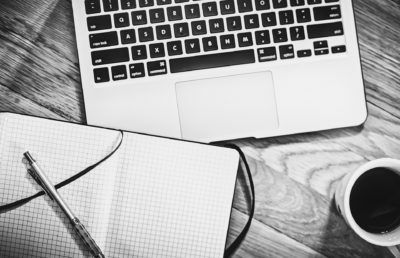 As well as some real tips beginners need to know when embarking on a blogging journey. This is my March 2017 blog income and traffic report in my 7th month of blogging. 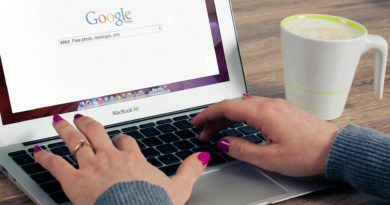 In this post, I will explain how I was able to more than double my page views and skyrocket my income with my new blog. When I created this blog, it was to show people how to make money online through online jobs, online businesses, blogs, websites and so on. What better way to do that than to allow them to see me doing it right along with them, right? 1. I want to be able to document the growth of my blog. 2. I want people to see that it is possible to make money from their blogs and ultimately create a better life with more choices for themselves and their loved ones. 3. I love writing, so I will take the opportunity to write anything! Plus it’s all the rave these days and everyone’s doing it! Just kidding! I’m not one to follow the crowd, but I am particularly interested in making money and sharing my experiences trying to do so online. 4. The main aim of my monthly blog income and traffic report is to help someone, somewhere, learn something from this, and create a better life for themselves by starting their own blog, if that’s what interests them, but they’ve been afraid to take the leap! So, if you’re that someone who would like to create your own blog, I created a detailed, step by step guide on how to setup a blog in 30 minutes or less with Siteground If you use my link, you can receive a 60% discount and start blogging for just $3.95 per month (unbeatable value!!!). I recently learned that it is really possible to make money from a blog and I am determined to do this right and have a super successful blog. I would love for you to join me along the way! 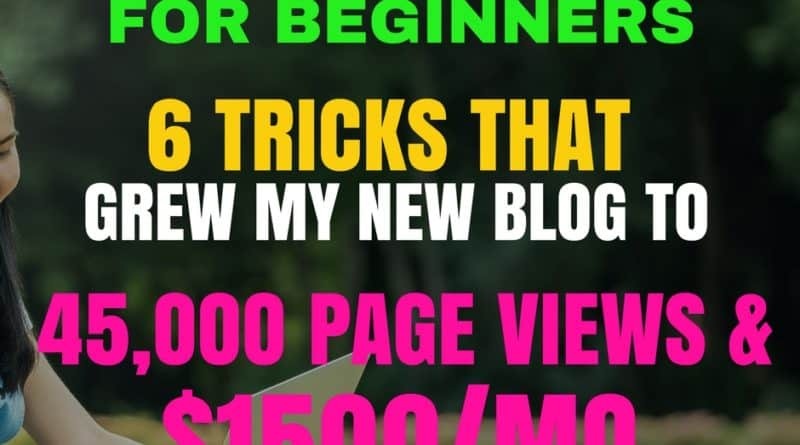 In this course, I show you all the steps you need to know to start your blog and set it up for success-You will learn everything from how to make your first dollar from your blog to how to get visitors to your blog and so much more! Join the course now! Success! Now check your inbox to confirm your email address, then wait a couple minutes for your welcome email! 1. Many bloggers start their blogs with no idea that they can even generate an income from it, or with no desire to even do so. 2. Some do not even know the concept of a blog income and traffic report when they first start out blogging. But, I do, and I want to be different and share the progress of my blog from the very beginning rather than from when it starts to actually make progress. I’M SHARING MY INCOME AND TRAFFIC REPORTS TO KEEP YOU AND ME MOTIVATED! I suspect that many people who start blogging quit before really giving it a chance because they don’t seem to see much progress in terms of traffic and income in the first few months of blogging (month 1-3). Therefore, blogging seems useless to them. There is absolutely nothing wrong with that at all. But this blog is about helping the newbies, like me, see full, unedited progress and pitfalls from day one. I share this in the hope that it will keep newbies motivated and let them see that they aren’t doing anything wrong, they are merely learning and progressing at a typical pace. Also, if you’re not yet a blogger, I hope my income and traffic reports, as well as all my other juicy articles for newbie bloggers, will help you build up the courage to start your own profitable blog as you see that anything is possible with it no matter what your stats are in the beginning. It will get better, way better, if you do the right things consistently. For now, I’m using the strategies outlined in this e-book. It’s mainly focused on manually pinning and various strategies you can use to improve your traffic with the manual pinning method. If you want to give it a try it costs $47. Click this link to get it. I rebranded! I changed my blog domain from sheblogsaboutjobs.com to smartnancials.com at the end of March. This process took more work than I imagined. I’m still adding finishing touches to the blog. This blog was launched on September 1st, 2016 and this is my 7th blog income and traffic report. To be fair, it was one of the most tiring months I’ve had since launching my blog, but that’s to be expected when one changes domain and theme. 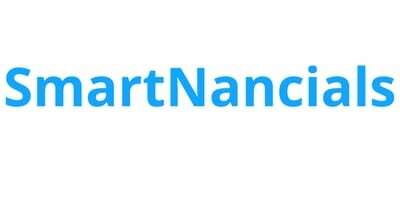 If you would like to see the progress of smartnancials.com over the past 6 months, check out the links below. These Were My Goals For March 2017 – Was I successful Or Not? My goal was to get 30,000 page views this month and I surpassed that! I actually got 45,000 page views! GOAL #2: Engage more in my facebook group and grow it to 150 members. Like my traffic, the group grew tremendously in March. It started out with 105 members on March 1st and now has over 500 wonderful members! This means it grew but over 400 in March! To be honest, It was a bit overwhelming this month, especially since I rebranded and that took tons of time. I’m thinking of getting a moderator to help out in the group! My income was made possible due to increased blog traffic! This seems t be one of the only places my blog didn’t grow in March. I was able to get 83 new email subscribers. I am happy about my progress, but I’m still not making great progress with my email list growth. I stated last month that I would be taking a free email marketing e-course, but I literally had no time to do so in March. I will try to fit it in sometime this month. GOAL #6: Get 300 more Pinterest followers. GOAL #8: Apply for media vine ads! Media vine recommends that you have at least 25k sessions before you are eligible to apply for their ad network. I got over 25k sessions in March, so I will be applying for this ad network in the next couple of days! WHOO HOOO! Please read guys! If you’ve been struggling with your blog growth, these tips may help you out. 1. I continue to use the strategies outlined in this e-course. I continue to use the strategies outlined in this e-course. I can’t share what those are but I highly recommend that you give this e-course a try. As you may or may not know, I purchased it on February 7th, 2017. About 1 week or so after implementing most of the strategies, I started receiving results. I continued to use the strategies in the course and more than doubled my traffic this month. I highly recommend purchasing the e-course if you’re wanting to experience better results. Use this link to purchase it for $47. 2. I study peak traffic periods for my blog in Google Analytics and use this data to my advantage. I spend 2 hours at the beginning of each month studying my Pinterest analytics data, day by day. I then note down my peak traffic times for every single day for the previous month. Then, I study this data to find the average peak time for my traffic and focus the bulk of my pinning in that window each day. 3. I use Tailwind to find my best performing boards. Then I pin to them as often as is allowed each day. I’ve been using Tailwind from over 6 months now. However, I’ve mainly used it to schedule out pins each day. As of late, I’ve begun reading about the importance of knowing what your best and worst performing boards are. I used the Tailwind Feature called Board Insights to do this and I am very pleased with this since it lets me know where I should pin for better results (ie. repins and engagement) as well as where I shouldn’t be pinning at all! I’ve spoken about this in more detail in this post. However, the idea is to create post titles that are interesting and makes the reader want to click through. If the title is boring, you may get lost in the sea of other pins that a user/users have to choose from on Pinterest. 5. I follow the 80/20 rule. BUT IN FAVOUR OF MY OWN PINS! It’s an awesome idea to share third party content on your boards. However, If you’re sharing 80% of others content and 20% of yours, then you will only get mediocre results. As a small blog, you need to look at this in a business sense and realize that you can’t possibly thrive if you prioritize people’s content over yours. I like to put it like this, If you’re starting a small brick and mortar business will you use 80% of your marketing resources promoting for another start-up or established business? I’m sure you answered no to that. Apply this idea to Pinterest promotion. I know Marketing a blog on Pinterest and Marketing a Small brick and Mortar Start-up are different in some instances, (and Pinterest will penalize you if you’re only sharing your content). However, your blog can’t possibly thrive if you focus on promoting someone else’s content more than you promote yours. This is not a very smart or sustainable practice. 6. I Study Pinterest Pros In My Niche. I can’t say this enough. Study Pinterest pros in your niche. I’ve been doing this for the past 2 months and I have learned tons of tricks and ideas from doing this. See what they’re pinning, see what kinds of pins they’re creating. Check out when they’re pining the most, check out which boards they’re on and so much more. In short, try to learn from them as much as you can. Blog goals for April 2017! 1. Get 60,000 page views by the last day of April 2017. 2. Engage more in my facebook group and grow it to 1000+ members + find a good moderator to help out with the group. 4. Earn $1700+ this month. 5. Publish 4 blog posts (each 1500 + words). 6. Get 200 more email subscribers. 7. Get 300 more Pinterest followers. 8. Complete and publish my ‘Advertise with me’ page. Three people have reached out to me about advertising on my blog so I’m guessing it’s time to have a place where they can see terms and such for their benefit. Will I achieve these goals at the end of March? Stick around to find out how I’m doing!! I would love to know your plans for your blog this month! Share with me in the comments below! Pinteresting Strategies: This e-course helped me increase my page views drastically. 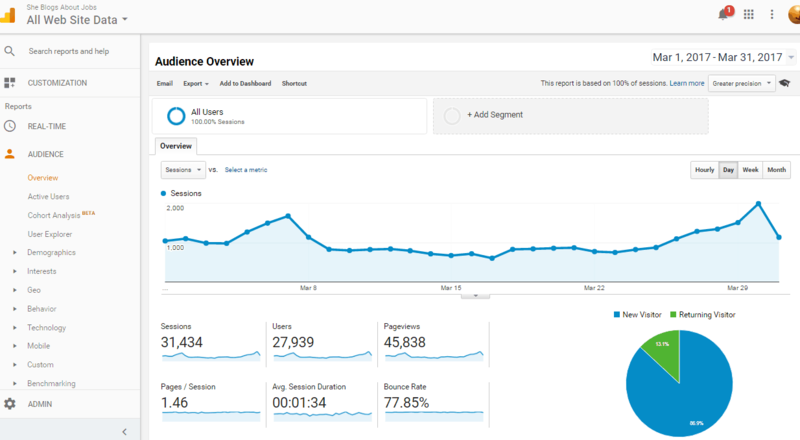 My blog went from 12,000 page views to 56,000 page views in a few months! Making Sense Of Affiliate Marketing: This course is a must for anyone interested in making money online through affiliate marketing. I’ve learned so much about affiliate marketing just from this course and I have been able to grow my blog’s income from $1700 to $3000 exactly 1 month after getting the e-course and implementing some of its strategies. Pinterest Traffic Avalanche: This e-course walks you through absolutely everything you need to know about succeeding on Pinterest. It’s super in depth and will teach you some amazing Pinterest strategies that you won’t find anywhere else. This course is especially great for helping you create the best pins which in return, help you get loads of traffic from Pinterest. How are you making money from the “Survey affiliates: $748.16”? Could you explain a bit more about FlexOffers, what services you’re recommending, etc? Thanks! Congrats on a great income for only being 7 months in! Hi Andy, thanks! Flex offers has some affiliate programs for surveys websites such as Swagbucks and so on. I promote the Swagbucks affiliate link and make a small commission each time a visitor uses my affiliate link (that I got from flex offers) to sign up for Swagbucks. I hope this clears it up. If you still need help, feel free to send me an email via my contact page. Wow! This is inspiring, I am a newbie so all this info is super helpful. Thanks for sharing. Another awesome and inspiring post. I look forward to your income reports monthly. Question about Wealthy Affiliate… did you build your website thru them? Do you have to have done that in order to join? Thanks so much for sharing. Thank you so much for this! As soon as I have the money, I will be purchasing the e-book mentioned. I recently began my own business blog and have absolutely no idea what I am doing lol. It doesn’t help that time has been scarce. However, with the summer rapidly approaching, I will have time to write blog posts and promote. I began messaging people on facebook. So far no sales leads but people have responded back. I hope that this e-book you suggested will help me as much as it has helped you! Hi Roxanne! Haha! I was the exact same way when I started blogging. I suggest you focus on creating some great posts and marketing on social media. 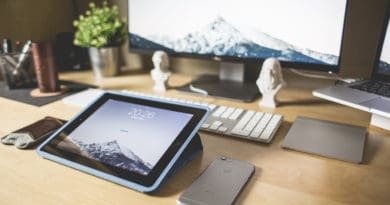 Also, if you aim to earn an income from your blog, start to learn about affiliate marketing and other monetization techniques. The ebook is great, there are so many people including myself who are starting to get great results from it. P.S The creator of the ebook is creating an upgrade with some more awesome tips. Therefore, by the time the funds are available to you should be able to get the updated version of the ebook! PPS: Feel free to send me an email if you need more help! Wow!! That’s quite an accomplishment!!! A big contrast on that! More than 85% of my traffic comes from Pinterest and this is truly amazing! Until I discovered Pinterest, my traffic was very low. Google has been a bit on and off for me so far. You can definitely reach your goals if you work smart. Have a look at some of the products and course I recommend as they have been of great importance in my growth!